LAS VEGAS, NV – 2015 Must See ‘Ems Award winner Scissor Hands will demonstrate its innovative cloud-based software at Print 17. 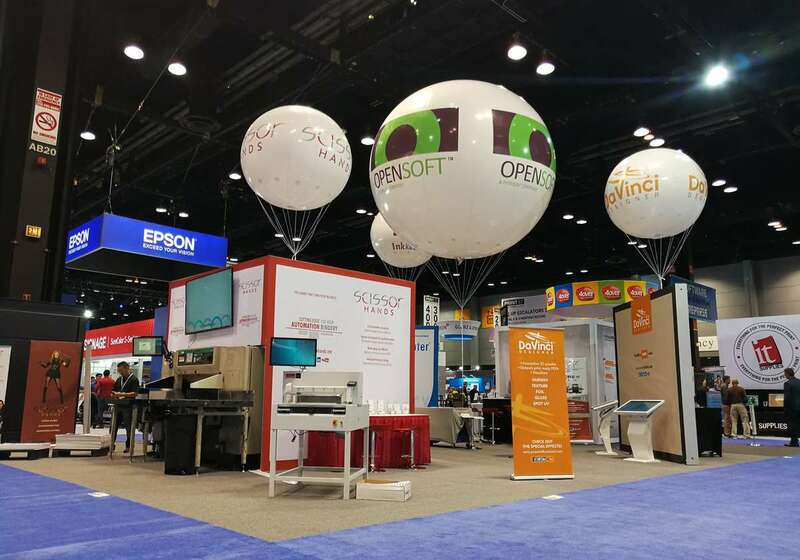 To be held at McCormick Place in Chicago from Sept. 10-14, the exhibition and conference is one of the largest displays of live running print equipment in the Americas. Scissor Hands was developed by Opensoft Inc. to increase throughput in the bindery without adding iron to the floor. Its cloud-based software delivers smarter cut programs through proprietary artificial intelligence that maximize efficiency on guillotine, laser and die cutters while reducing labor costs. The enhanced JDF automation systematically loads the best available cutting course onto existing MIS or prepress systems. A unique algorithm creates the most efficient cut sequencing that cover all lifts of a run. This eliminates complex programming and decreases the total number of cuts required to finish a run. To further maximize production, step-by-step instructions are animated on mounted touchscreens to guide cutter operators on how to load, jog and rotate the lift. The onscreen guide not only removes traditional training barriers, but also significantly shortens training time from months to hours. Compared to traditional repeat-per-lift cut programs, Scissor Hands slashes cutting times by up to 60 percent as well as reduces spills and cross-ships. Eliminating the bottleneck in the bindery increases uptime and maximizes profitability for printers. Able to integrate with Polar-Mohr, Itoh, Triumph and other industry leading guillotine cutters as well as laser and die cutters, the program also tracks jobs, start and end times, and blade drops. For a live demonstration at Print 17, visit Booth #837 or email at info@scissorhands.net to schedule an appointment.